In the 1920s, railroads were a central part of American life. Railroad lines crisscrossed the country. They carried people, manufactured goods, food, the daily mail, and express package. Railroads made long-distance travel possible, but the opportunities for travel were not equally shared. In the South, African Americans were segregated into “Jim Crow” cars. Salisbury, North Carolina, was linked to the nationwide system by the Southern Railway. Its main route ran between Washington, D.C., and New Orleans, Louisiana, by way of Salisbury. The depot and rail freight sheds made the town a part of the country’s rail network. The railroad also provided job opportunities in the community: in nearby Spencer, the vast locomotive repair shops employed 2,500 skilled workers. The Salisbury station, seen from trackside and from the street. Large canopies sheltered travelers from rain and the sun. The building also had offices for the stationmaster, the telegrapher, and other staff. In the 1920s, a town’s railway station was a hub of activity. The depot was a city’s principal gateway, and station architecture often reflected that importance. In 1906, the Southern Railway hired noted architect Frank Milburn to design an elegant mission-style building in Salisbury. The station reflected and reinforced prevailing social attitudes, as in the separate White and Colored entrances into the General Waiting Room. There was separation of the sexes and African Americans were not accorded the civility given to whites. The white women’s rest room was called a Ladies Parlor and there was a Smoking Room for white men. In contrast, black women weren’t considered “ladies:” their segregated restroom and toilet facilities were simply labeled Colored Women. Black men did not have access to a smoking room, and had to go outside the building to get the Colored Men’s Toilet. Transportation has long been a flash point in the struggle for racial equality in America. In 1896, the Supreme Court’s Plessy v. Ferguson decision declared racial segregation legal. For the next half century, until 1954’s Brown v. Board of Education reversed Plessy, the doctrine of “separate but equal” was the law of the land. After 1954, segregation remained a common practice. Mass protests against segregated transportation helped create the modern civil rights movement. The Montgomery, Alabama, bus boycott of 1955-56 showed the power of nonviolent direct action and encouraged other forms of protest against institutionalized racism. Transportation issues remained at the forefront of the movement when it entered the next stage: making sure that the new laws were being applied. In 1961, integrated groups of activists calling themselves Freedom Riders boarded buses and traveled into the South to see if bus stations were desegregated as ordered. The Freedom Riders were attacked as they traveled, and one of their buses was burned in Alabama. But their efforts pressured the federal government to make states comply with desegregation laws. Because of these kinds of protests over transportation, laws and social customs began to change throughout the segregated South. 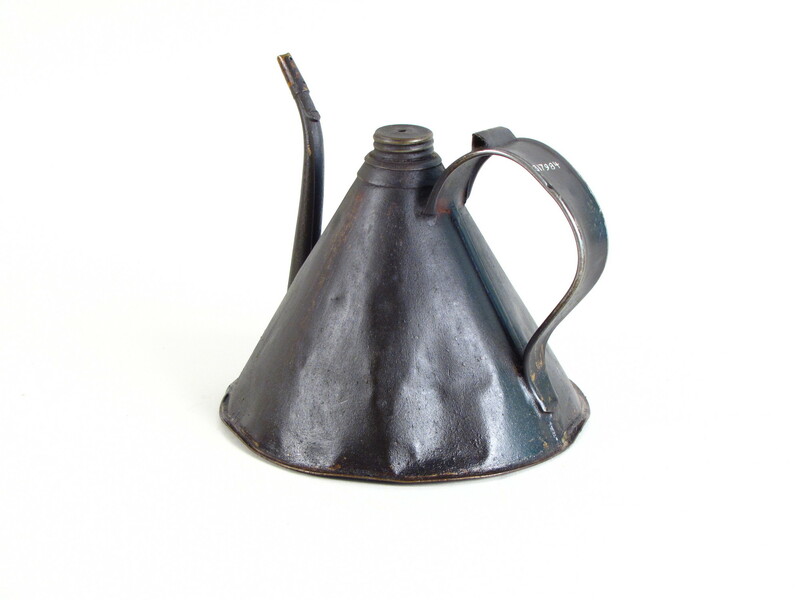 From the 1830s through the 1950s, people traveled in trains pulled by steam locomotives. Cars in these trains were almost always arranged in a particular order—an order that reflected social hierarchy. Coal-burning steam engines spewed smoke and cinders into the air, so the most privileged passengers sat as far away from the locomotive as possible. The first passenger cars—the coaches—were separated from the locomotive by the mail and baggage cars. In the South in the first half of the 20th century, the first coaches were “Jim Crow cars,” designated for black riders only. Passenger coaches for whites then followed. Long-distance trains had a dining car, located between the coaches and any sleeping cars. Overnight trains included sleeping cars—toward the back because travelers in these higher-priced cars wanted to be far away from the locomotive’s smoke. A parlor or observation car usually brought up the rear. A typical steam locomotive had an engine and a tender for carrying fuel and water for the boiler. Two crew members worked in the engine’s cab: the engineer ran the locomotive, and the fireman managed the boiler and helped watch for signals. Both jobs were highly skilled. Built in 1926, No. 1401 is one of 64 locomotives of its class that ran on the Southern Railway from the mid-1920s until the early 1950s. A flagship locomotive of “the Southern,” the 1401 rolled on the Charlotte Division, between Greenville, South Carolina, and Salisbury, North Carolina. It pulled passenger trains at speeds up to 80 miles per hour. In April 1945, the 1401 pulled President Franklin Roosevelt’s funeral train on part of its journey to Washington, D.C. 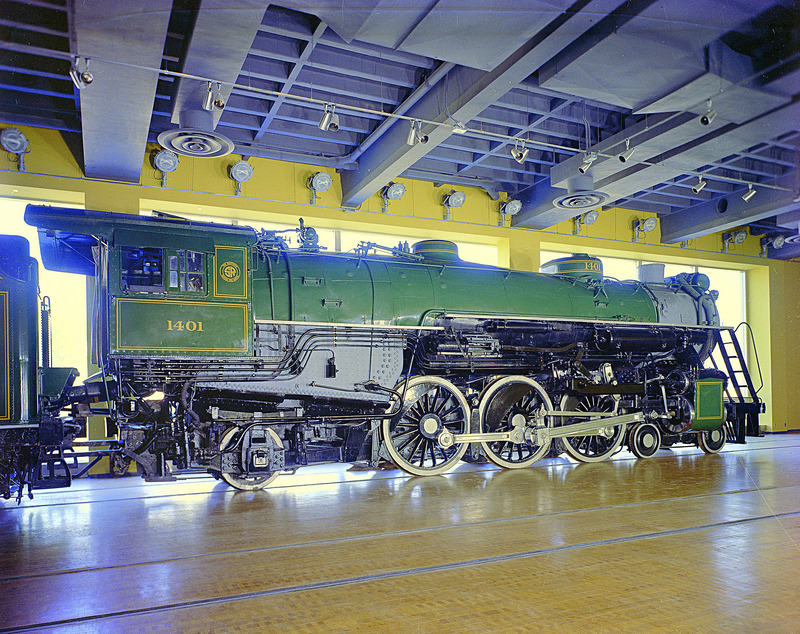 Retired in 1952, the 1401 came to the Smithsonian in 1961. Read how the 1401 was moved into the museum! Running a steam locomotive combined two responsibilities: managing a highly complex steam boiler—in the case of No. 1401, about 3,000 horsepower—and controlling the safe speed of a massive vehicle that could weigh thousands of tons, counting engine and cars. 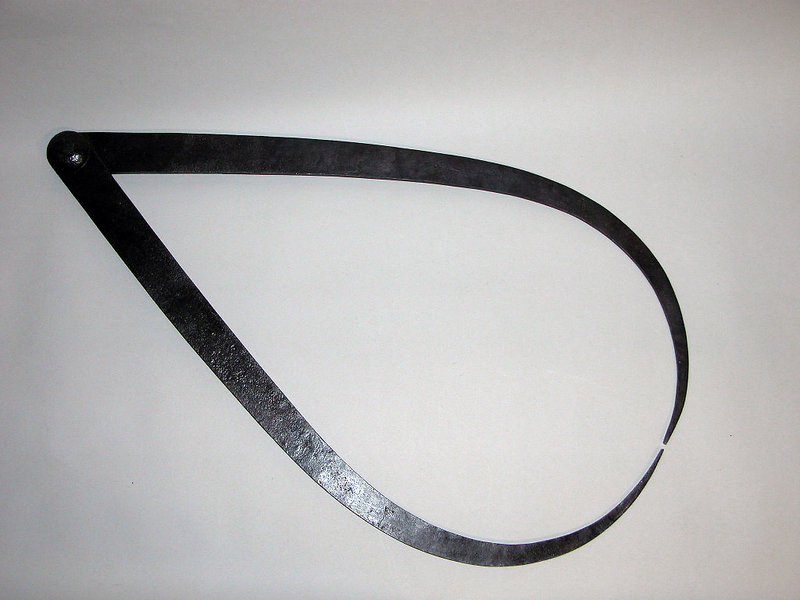 An engineer specialized in one “division” of railroad, 100–150 miles long. The engineer needed to know the location of every signal, every curve, and the slightest change in uphill or downhill grade throughout the route in order to safely control the train. 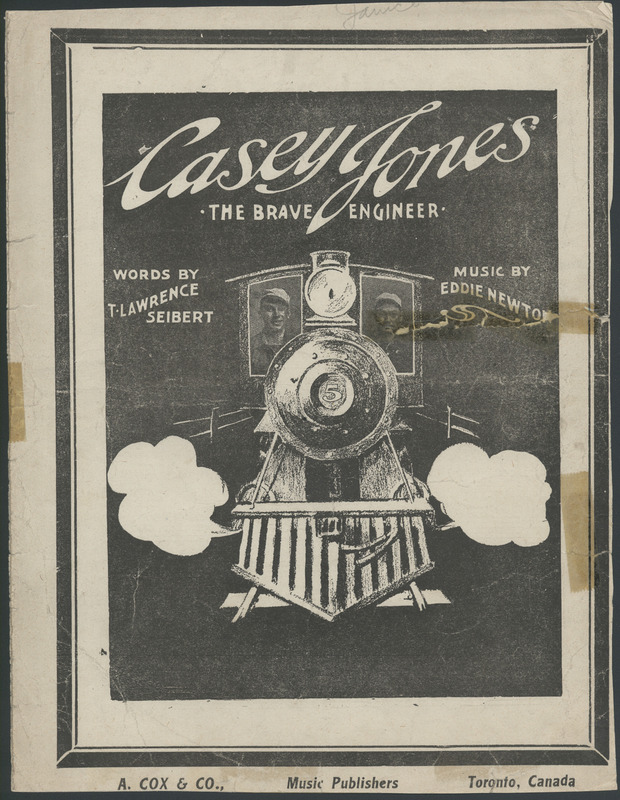 The ballad of Casey Jones commemorated him sacrificing his life to help avoid a deadly crash. The fireman and engineer operated a steam locomotive as a team. The fireman managed the output of steam. His boiler had to respond to frequent changes in demand for power, as the train sped up, climbed hills, changed speeds, and stopped at stations. A skilled fireman anticipated changing demand as he fed coal to the firebox and water to the boiler. At the same time, the fireman was the “copilot” of the train who knew the signals, curves, and grade changes as well as the engineer. On some steam locomotives, the fireman controlled a steam-driven mechanical stoker that fed coal to the firebox. But many times, he still needed to add coal with a scoop (not a “shovel”). This car served two functions, baggage and mail carrying. Only U.S. Postal Department employees handled mail aboard trains. The car includes a Railway Post Office, where mail clerks sorted letters and small packages for delivery to towns along the route. “R.P.O” cars carried daily mail to most small towns in America. To learn more about railway post offices, visit the Smithsonian’s National Postal Museum. This was the most common kind of passenger car. American-style coach design placed seats on each side of a center aisle, with no compartments. Coaches for commuter trains were plain, with up to 80 seats. Long-distance coaches were more comfortable. On trains in the South, a separate coach carried African Americans, or a single car was divided into “White” and “Colored” sections. A chef and cooks prepared meals onboard in a fully equipped kitchen. A steward seated passengers and took meal orders. Waiters brought food to the tables. Since space was limited, each meal was often divided into two or more seatings. Prices were high, so many travelers brought their own food and did not eat in the dining car. The conductor’s job involved more than collecting tickets. He was the “captain” of the train. He supervised other train crew, looked out for the safety of everyone aboard, and made sure that every passenger paid the correct fare. The engineer was responsible for signals and speed restrictions en route, but the conductor determined when a train could safely depart a station and was in charge during emergencies. The conductor’s role as chief of the train came from maritime tradition. Many conductors on the first American railroads in the 1830s had been steamboat or coastal packet captains. In the 1920s, the Pullman Company was the largest single employer of African American men. From the 1870s through the 1960s, tens of thousands worked for Pullman as sleeping-car porters. The feeling of sleeping-car luxury came from the porter. He “made down” berths at night and “made up” the berths into seating in the morning, helped with luggage, and answered passengers’ calls at any hour. Working 400 hours a month, porters earned better wages than most African Americans, but degrading conditions helped lead to the founding of the Brotherhood of Sleeping Car Porters in 1925. Pullman conductor John W. Zimmer greating a passenger, Burlington, Iowa, 1925. It was most important that the conductor keep the train on schedule. 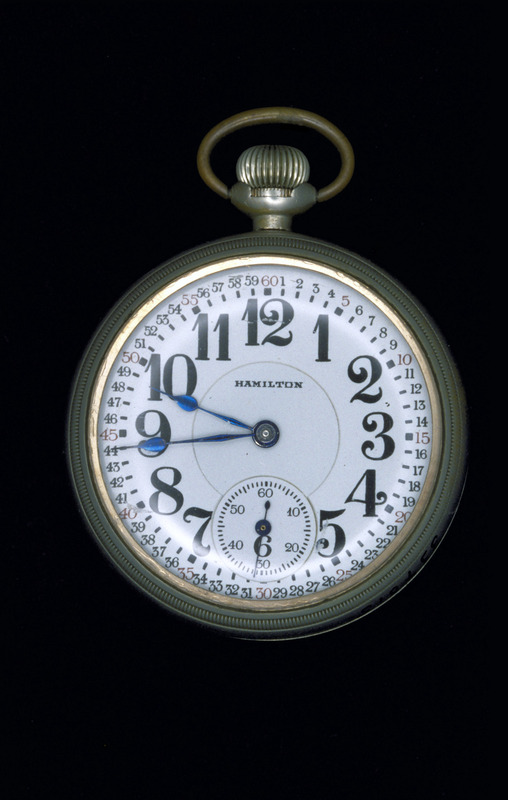 To ensure accuracy, watches were inspected regularly by jewelers on contract to the railroad. Railroad companies developed standard sets of rules that train crews and dispatchers were expected to follow. Collisions and derailments were widespread on the early railroads and the rules were designed to prevent accidents. Conductors accounted for the ticket of each passenger and, when necessary, sold tickets on board. 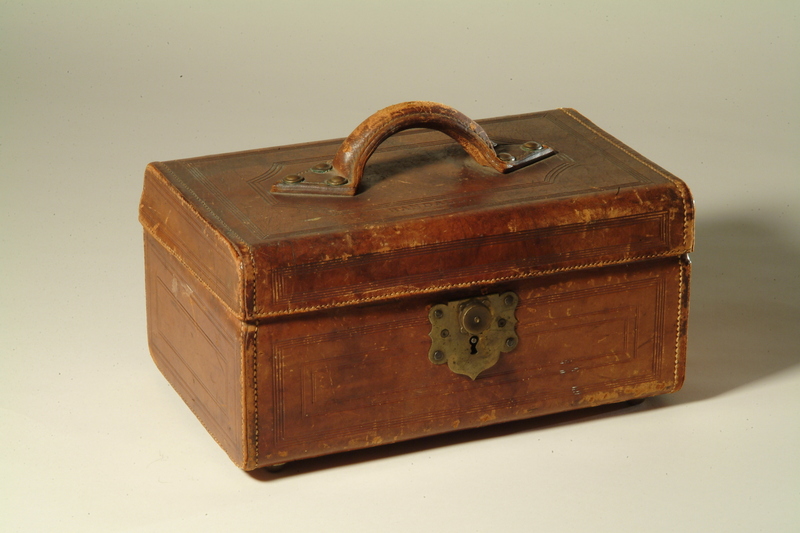 This early case—and later, a larger “grip” (small suitcase)—kept records in order. 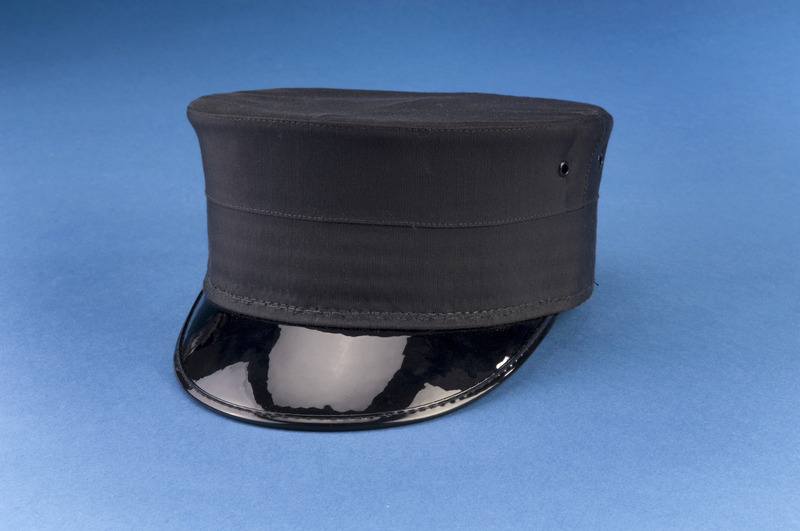 A conductor’s most recognizable “badge of office” was the traditional hat. Other trainmen wore these, too, so the cap badge indicated the wearer’s title and authority. 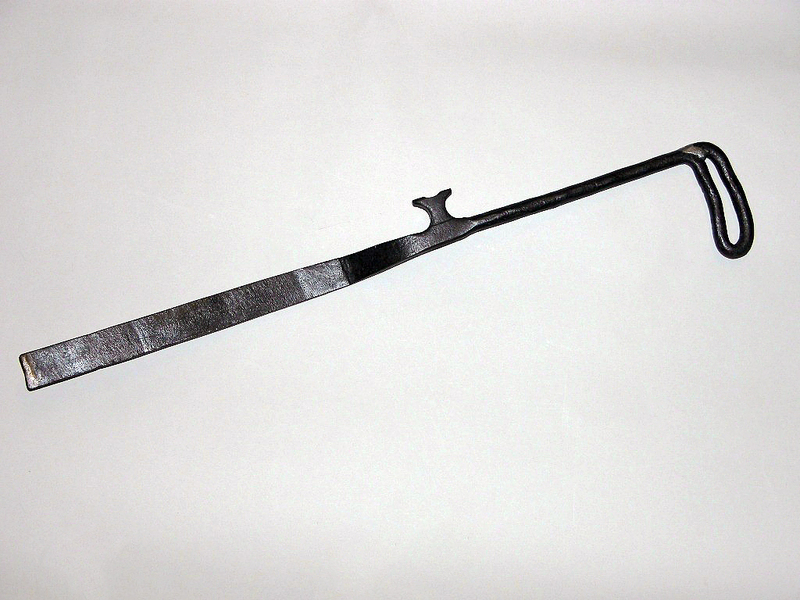 Gift of Albert S. Eggerton Jr.
Each conductor’s punch made a distinctively shaped hole in a ticket. Thus a conductor could easily determine who had canceled the ticket. A Pullman porter “makes down” a sleeping berth. A porter assists passengers boarding a train. Although they were servants on the job, porters took pride in their professionalism. At home, they were respected members of their communities. Porters traveled extensively and connected their communities to a wider world. From the 1920s through the 1940s, porters helped southern blacks migrate by bringing back information on jobs and housing in the North. Porters were also involved in Civil Rights activity. Pullman porter E. D. Nixon helped plan the Montgomery, Alabama, bus boycott of 1955–56. Union leader A. Philip Randolph pressured President Franklin Roosevelt into issuing Executive Order 8802 in 1941. It barred discrimination in defense industries and created the Fair Employment Practices Committee. Later, Randolph was involved planning the 1963 civil rights march on Washington. According to Pullman service rules, passengers’ berth blankets were never to be mixed with those of porters. 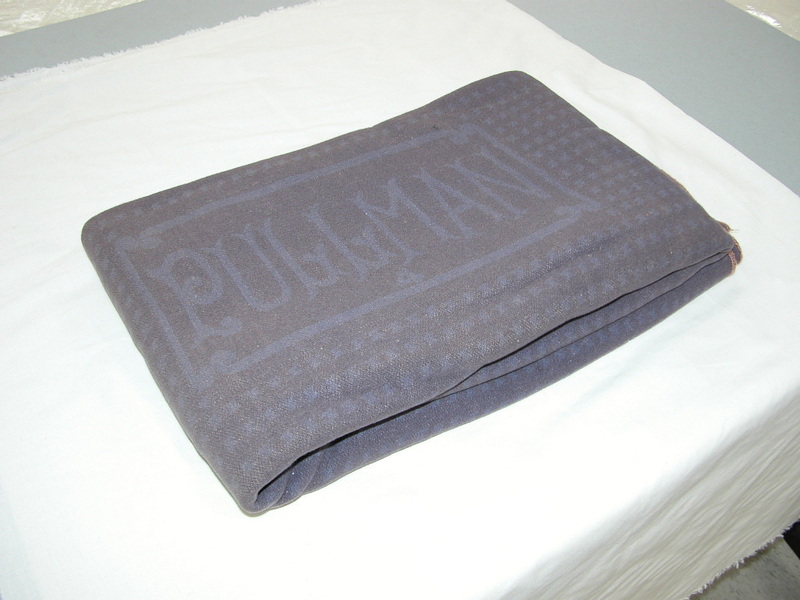 Pullman blankets, normally a salmon color, were dyed blue when worn out and then given to porters. 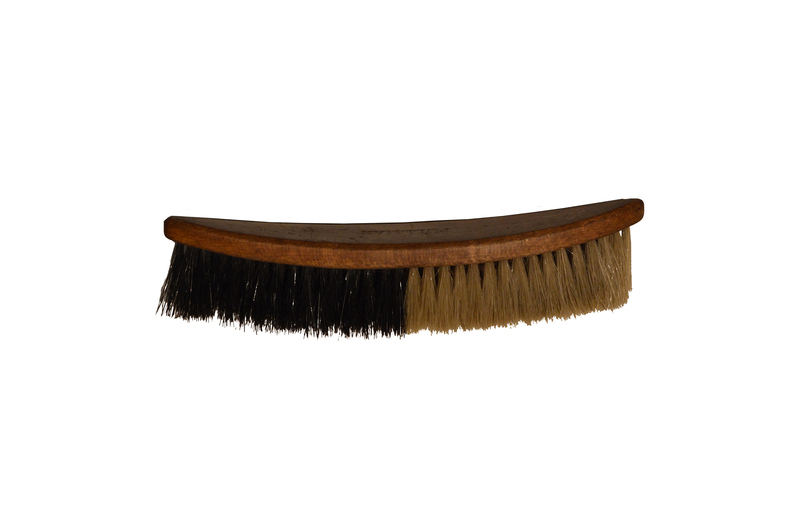 Brushing a passenger’s coat or suit, wiping cinders from handrails, and polishing shoes were all part of a porter’s duties. 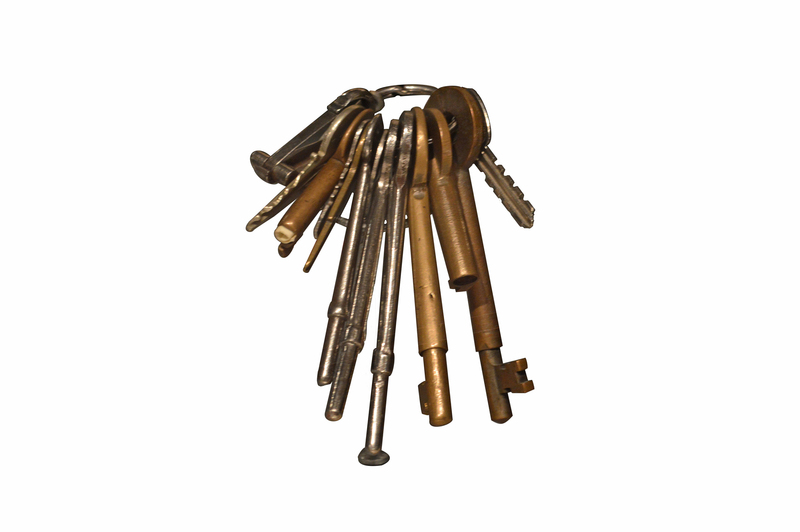 Keys for opening Pullman car doors, berths, and storage lockers were issued to porters, who were responsible for passengers’ security. The Southern Railway’s transfer sheds in nearby Spencer served the city of Salisbury and surrounding counties as a major freight hub. Communities in the 1920s relied on trains for transporting goods. Some 75 to 80 percent of all U.S. intercity freight went by rail. Salisbury, in the Piedmont region of North Carolina, was the commercial center of a large agricultural area dominated by cotton. Salisbury and surrounding Rowan County were home to 15 textile mills employing more than 1,700 people. Salisbury’s other businesses produced lumber, building stone, flour, cottonseed oil, furniture, mattresses, candy, and turpentine. Laundries, bakeries, soft-drink bottlers, dairies, and retail shops contributed to the economy. A local druggist who invented a headache powder became a big manufacturer because he could distribute his product nationally by rail. And a large tire company opened to support the growing number of automobiles on the road. Coal for factory furnaces and home heating, bales of cotton for the mills, machinery, hardware, dry goods for stores, food products for groceries, mail, express packages, and new automobiles all came into Salisbury by railroad. In the 1920s, southern states promised cheap land and labor for new factories. The nationwide rail system gave the South ready access to national markets and tied it into the national economy. Southern Railway ads in national magazines at this time promoted development along the company’s rail lines and touted the South’s importance in the national economy. The railroad hoped to profit from hauling raw materials into the region, and finished products out. Most “exports” from the South, however, were from mills, farms and forests. The Southern Railway carried fruit and vegetables to national markets. The ad noted that a quarter of the U.S. vegetable and fruit crop came from the South. The South exported large quantities of timber and finished lumber. Because southern forests had been depleted, this ad stressed conservation. The Southern Railway transported Alabama’s iron and steel. Southern businessmen hoped to use the convenient supply of steel as a means to attract more manufacturing into the region. 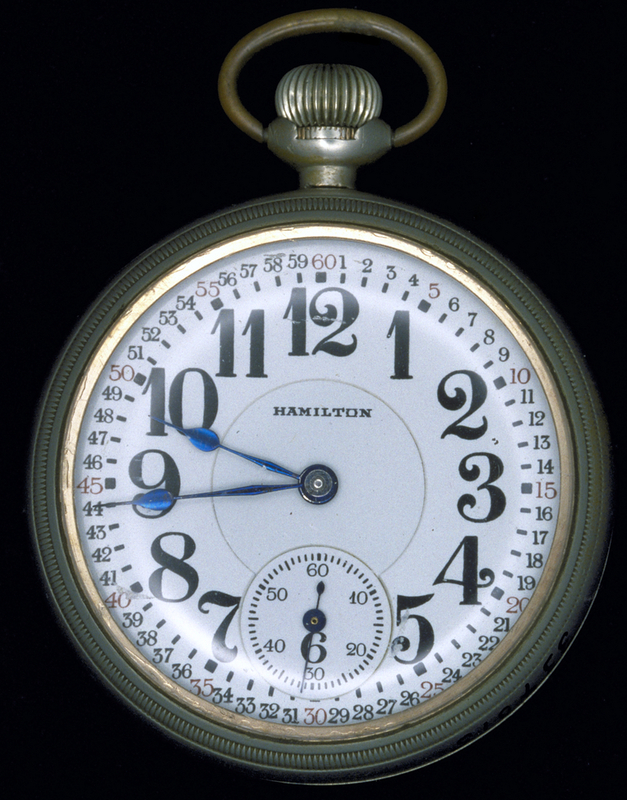 Ordering goods by mail from a catalog became increasingly popular in the 1880s. The Chicago firms of Sears, Roebuck and Company and Montgomery Ward and Company were mail-order giants. Through their catalogs, retail marketing became truly national, reaching customers in tiny rural communities as well as in cities. The catalogs included almost any product imaginable, from a toy to a plow to a dress to an entire house in kit form. Delivery was by mail or by the Railway Express Agency. In either case, the product came by train. It took a vast, coordinated army of workers to run a large railroad. In the late 1920s, there were over 1.7 million rail employees nationwide. Most railroaders labored behind the scenes, without the glamour in folklore and culture that the publicly visible locomotive engineers and conductors enjoyed. Meet a few of the less-visible railroad employees. Railroad companies were big businesses, and they generated a vast amount of paperwork. 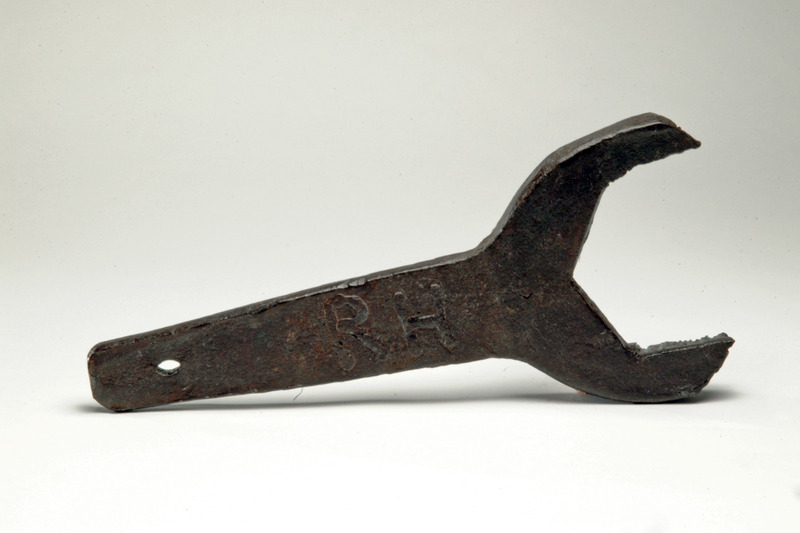 About 20 percent of the nation’s railroad workers were clerks. These employees created bills, kept accounts, dealt with the payroll, filed reports with government regulatory agencies, and ordered thousands of supplies for far-flung offices, repair shops, and terminals. Train safety depended on thousands of track workers – including inspectors, track-construction gangs, and bridge builders. Civil engineers designed structures and track layouts, while maintenance crews replaced worn-out or broken rails and old crossties and aligned track to high precision. At major junctions, where many tracks came together from different routes, a tower operator controlled the trains in shifting from track to track. 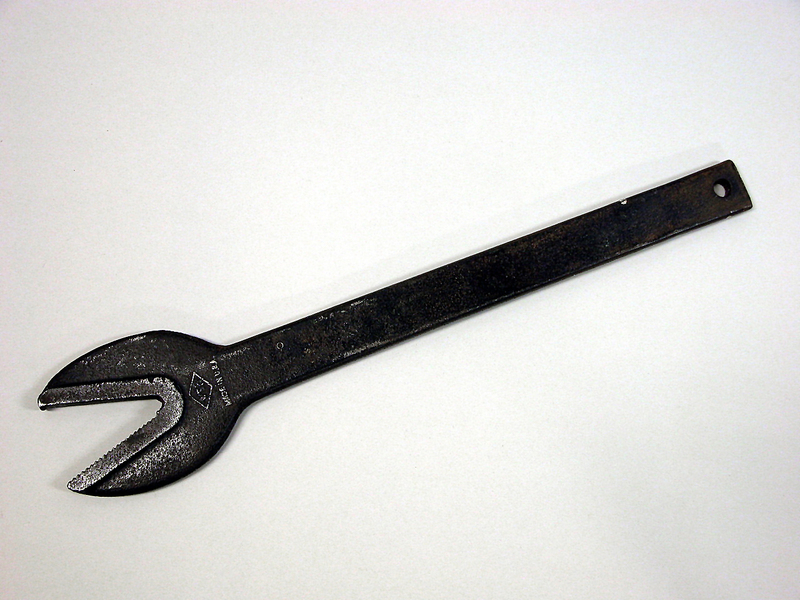 The operator used the long levers to set or change the track switches mechanically. Setting a proper route through a maze of switches took skill. Changing signal lights told train crews the route was safe. The thousands of packages people sent daily that were too large for the U.S. mail went by railway express. Agents worked for companies such as American Railway Express, Adams Express Company, Wells Fargo, and Railway Express Agency. These firms had their own offices in large rail stations, but in small depots, the stationmaster’s duties included serving as express agent. Spencer, a suburb of Salisbury, owed its existence to the Southern Railway. The town began in 1897, springing up around 141 acres of land the Southern bought to build a railroad repair-shop complex. Although the railway did not directly develop the town, more than 2,500 machinists, foundry workers, boilermakers, carpenters, and other shop workers and their families lived in Spencer. 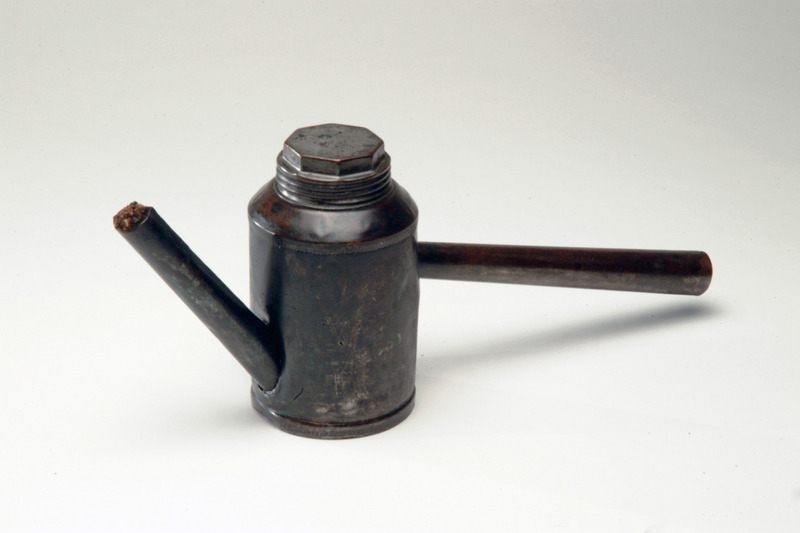 They and the merchants who supplied their needs made Spencer a thriving industrial community. Work in the Spencer Shops was hot and hard. The pay was good and workers took pride in their craft. 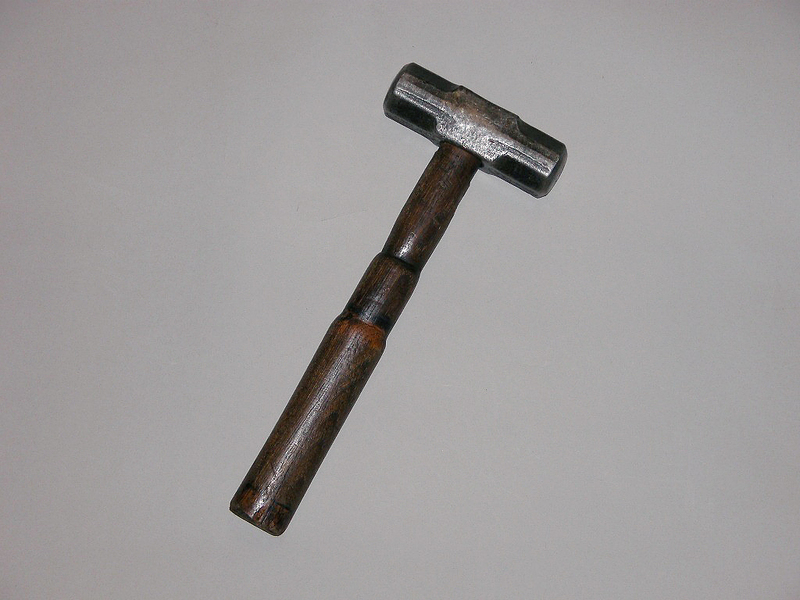 In the 1920s, the shops employed many African Americans as laborers, while at the top of the craft hierarchy stood the white master boilermakers and master machinists. 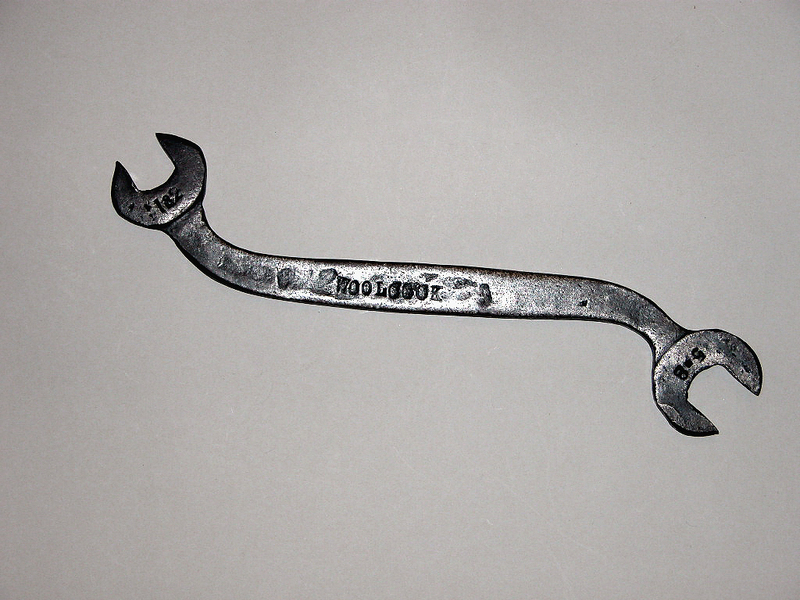 Labor disputes occasionally simmered, and in 1922 Spencer workers took part in the nationwide shopmen’s strike, the most extensive strike of the 20th century. Marvin Rogers Collection, with the help of the North Carolina Transportation Museum. When a locomotive came into the shop, an inspector examined the boiler, wheels, and mechanical systems. Locomotives returned to service after necessary repairs, and after they had their wheel bearings oiled and their rod bearings greased. This torch’s light was provided by kerosene fuel and a wick. 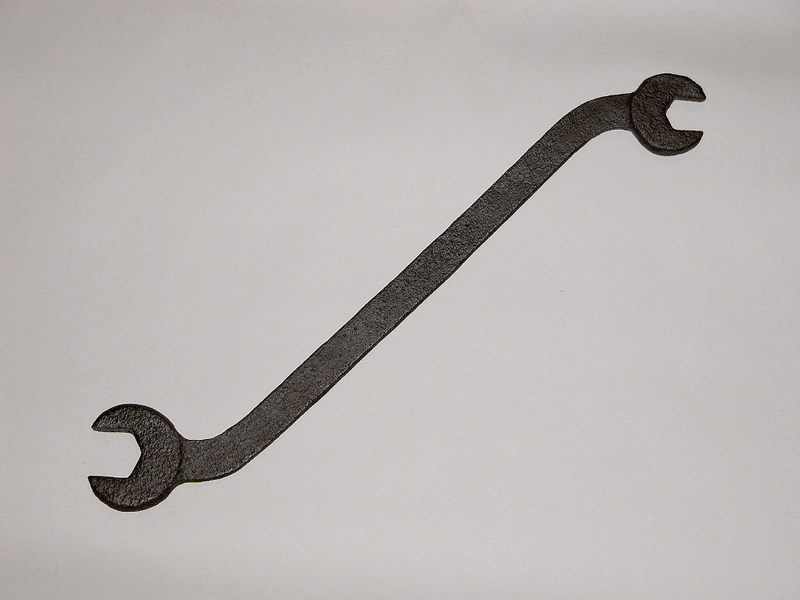 Use to lubricate bearing surfaces of machines. 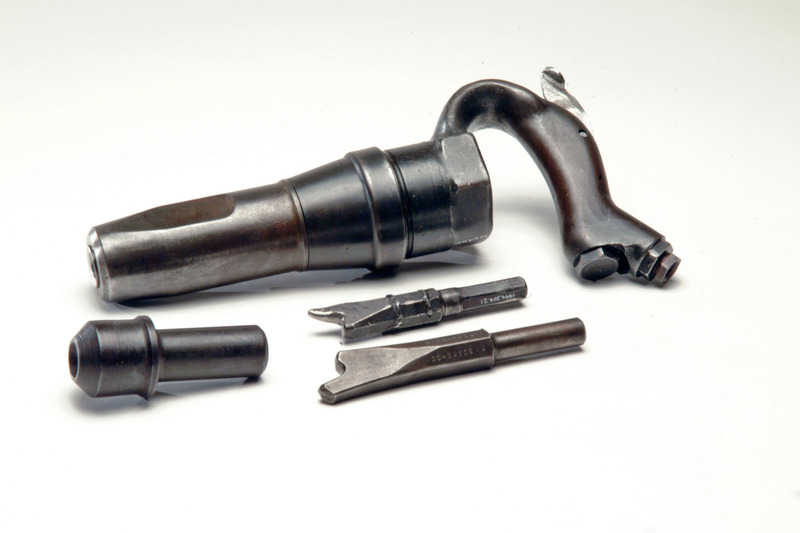 Skilled mechanics used a variety of hand tools to remove and replace steam piping, and to loosen or tighten thousands of nuts and bolts during the disassembly and repair of locomotive parts. The work was hard, and often required great strength. 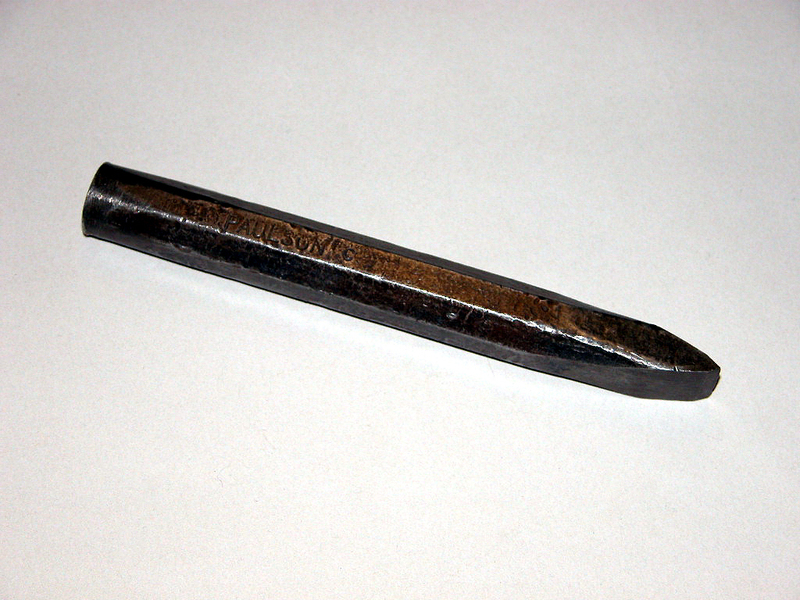 Boilermakers dealt with the hundreds of rivets that held a boiler together. They “punched out” old rivets and “drove” new ones when they disassembled and reassembled a boiler. Boilermakers also installed new flues within the boiler. All this work had to be done properly or the boiler would leak. 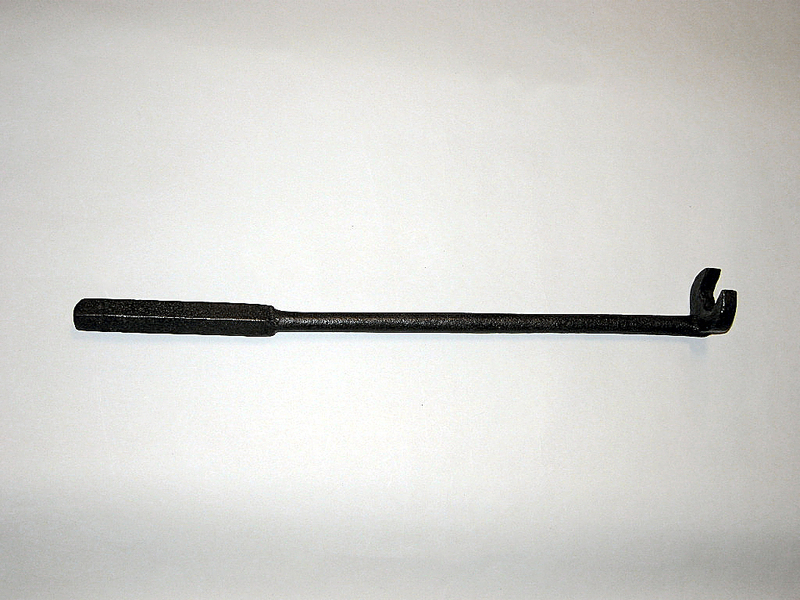 Staybolt taps are used to thread holes for firebox staybolts. 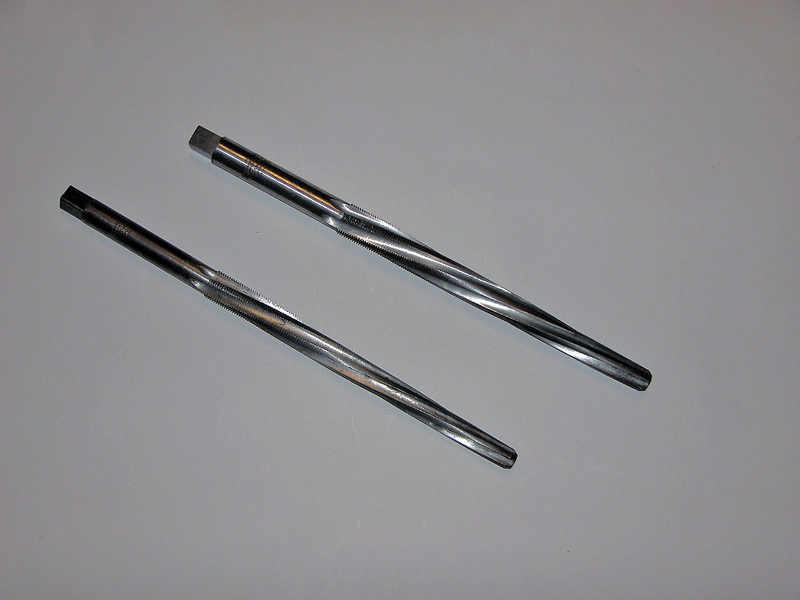 Machinists worked at large lathes, planers, milling machines, and boring mills, doing high-precision work to craft new rods, axles, bearings, pistons and cylinders, and other parts. 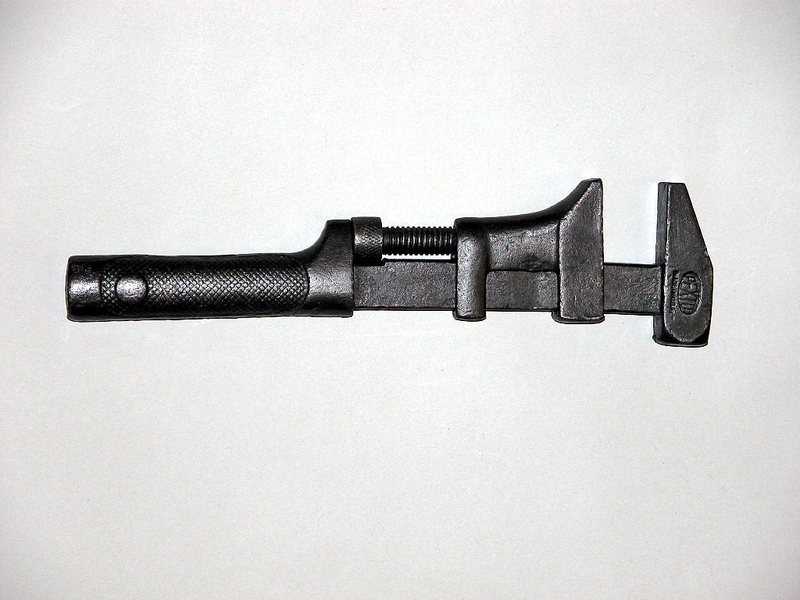 A large caliper like this one was used by a machinist when operating a large lathe or vertical boring mill, making very large parts. 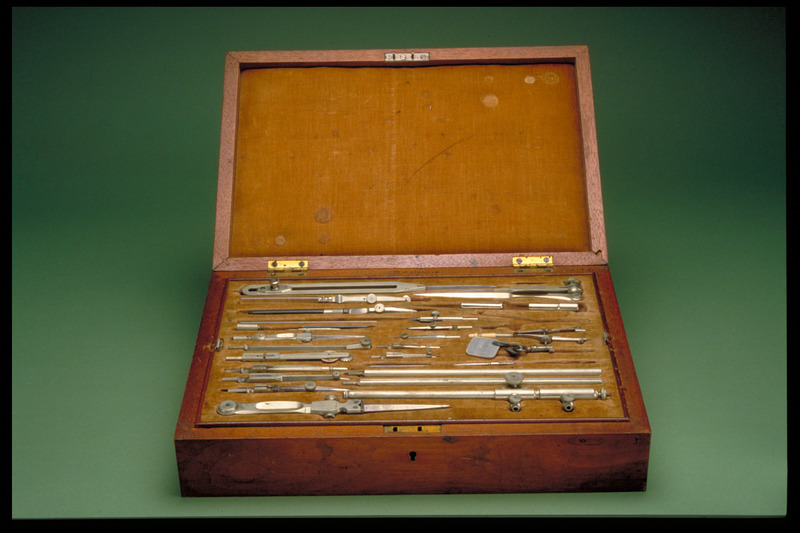 A machinist could use the dividers in this tool set to transfer a measurement from one part to another being made, or to scribe marks to ensure accuracy in making a part with a lathe, planer, boring mill, milling machine, or other machine tool on the shop floor. What Happened to the Railroads? Before World War II, railroads were an integral part of peoples’ lives and one of the nation’s premier businesses. They employed between 1.5 and 2 million people annually—about 10 percent of all industrial workers—and transported hundreds of billions of ton-miles of freight. But after the war, as Americans embraced cars, trucks, and highways, the role of railroads changed. In the 1940s, diesel locomotives began to be introduced on U.S. railroads in large numbers. Steam and diesel locomotives ran side by side for a brief time in the 1940s and early 1950s, but new diesel locomotives took over as they radically cut maintenance and operating expenses. Steam locomotive 1401 was last repaired at Spencer in 1951. All steam locomotives on the Southern were retired by 1953, and Spencer Shops, not easily convertible to diesel work, closed in 1960. By 1950, rail traffic was dropping steadily, motivating rail managers to cut costs. This drop in traffic and the fact that diesels needed far fewer people to maintain them combined to cut rail employment. In 1962, U.S. railroads had half the number of workers they had in 1946. In the 1980s and 1990s, passenger trains were no longer a part of most travelers’ lives. But railroads rebounded economically, due to growth in rail shipment of freight containers, automobiles, coal, grain, food, and other products. In the 1990s, rails carried more commercial freight more miles than waterways or trucks.